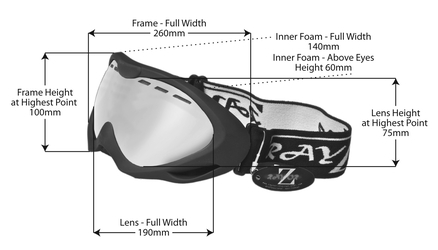 These goggles are very good, perfectly functional without a silly price tag. They did not steam up (they were worn in -21) and were a comfortable fit for me and my boyfriend, despite diferent sized faces. They were a last minute purchase a week before we flew, they were dispatched promptly and communication to the seller was answered promptly.